The reason is when the WCF service stops working and it runs under a particular service account SharePoint restarts the WCF service, and it works again. The cause of it all is when the service account is logged on when the Search Service Application is launched in this case. It happens all when the service account logs off and the COM+ application can no longer read registry keys in the profile. 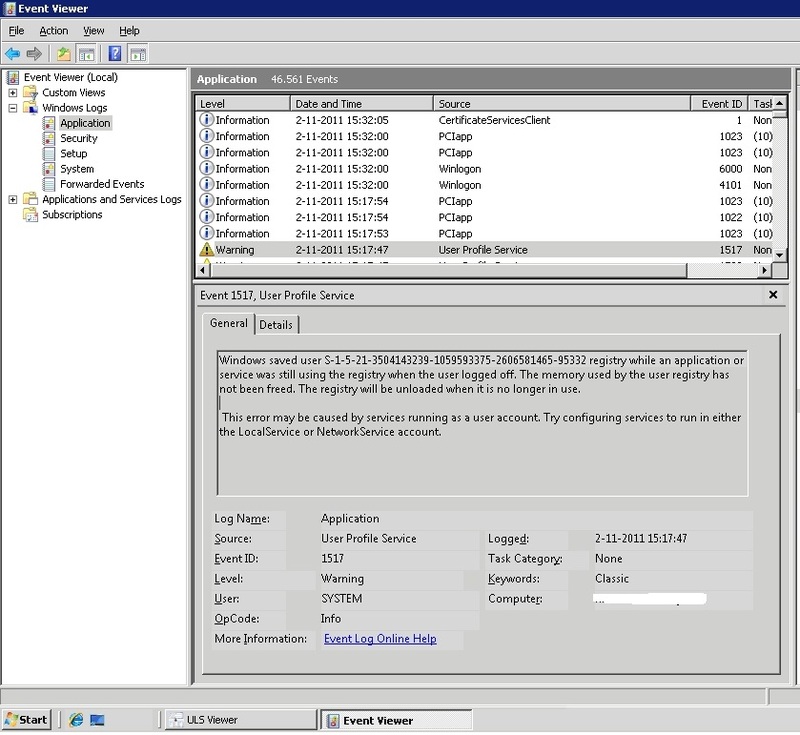 If you see the event viewer message, you’ll see that the User Profile Service is a new functionality added in Win Vista and Windows Server 2008. When a user or Service account is logged of, the profile Service forces the unload of the User Profile on the server. But when this happens the User Profile Service can break an application if registry keys are not closed. The resolution is to make a workaround this issue to disable this feature in the Software Policy on the local system. Btw. For each SharePoint Server you should do this. Go to the Group Policy Editor and then go to Computer Configuration -> Administrative Templates -> System -> User Profiles. Edit the setting ‘Do not forcefully unload the registry at user logoff’ to enabled.